Once a retailer has established its online store, the job isn’t done. Continual work goes into ensuring this essential resource is doing the most that it can. Not only the venue where customers to purchase items, an e-commerce site represents the online face of a company. It’s critical to ensure that optimization on the site is an ongoing process. So, how do you identify the weaknesses of a store’s website? One of the most important lessons a retailer can learn is the significance of a first impression. If a new customer has a bad experience with the brand or its online store, they are unlikely to become a loyal client. Therefore, it’s critical to ensure that shoppers can appreciate the site from their very first visit. The design and user experience of the site deserve special attention. Crazy Egg contributor Sharon Hurley Hall noted that one essential aspect is page load time. One study showed that retailers only have two seconds to capture a user’s attention, and every second after this mark can result in a 10 percent loss of visitors. “A slow loading site equals lost revenue: It’s a simple equation,” Hall wrote. When optimizing website speed, work with an expert hosting provider to ensure that the site has the proper backend support. It may be necessary to increase the company’s current resources to prevent performance issues. When it comes to first impressions and overall UX, navigation is also key. Hall noted that customers can get frustrated when a site isn’t easy to navigate, potentially costing them opportunities for conversion. “If they can’t find it, they can’t buy it,” noted Smashing Magazine contributor Christian Holst. The website should have distinct categories shoppers can browse, as well as an accessible search bar for targeted queries. It’s also imperative to showcase available inventory in a way that helps shoppers understand what they’ll be getting. Larger photos can really make a difference, as increasing image size can boost sales. In addition, brands shouldn’t take items that are out of stock off the site. Shoppers may still be searching for these products in particular, and keeping them on the site can help capitalize on these searches, boosting the site’s ranking. Retailers can offer alternatives to these out-of-stock items, which can extend a visitor’s time on the site and prevent them from leaving empty-handed. Hall pointed out that product descriptions can be enhanced as well. Copying and pasting generic product description information straight from the manufacturer won’t do anything for the site’s search rankings or visitor engagement. “Avoid generic descriptions; instead, make sure the description identifies the problem the product solves for the reader,” Hall advised. 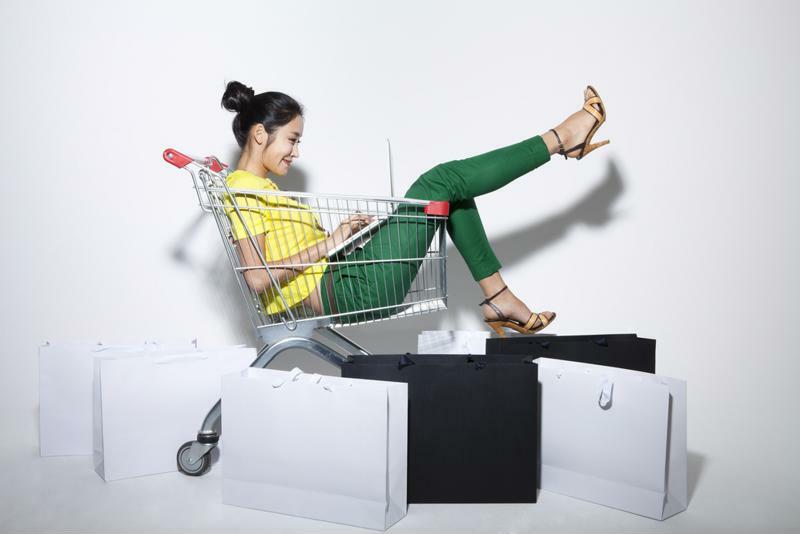 Retailers shouldn’t overlook the shopping cart when optimizing their site. For many customers, the shopping cart is the point in the transaction when stumbling blocks can creep up. Information from Radware shows that a staggering 70 percent of carts are abandoned before checkout, and a mere 2 second delay in the process can boost abandonment rates by as much as 87 percent, Hall reported. It can also be helpful to allow shoppers to checkout as guests as opposed to forcing them to register an account. Finally, brands should ensure payment is simple. Displaying the total cost of the purchase – including any tax and shipping costs – can help prevent sticker shock. The company should also provide support for a range of different payment methods, including debit and credit cards as well as digital wallets. Finally, it’s important to keep in mind that optimization is not a one-and-done project – it should be an ongoing process of continuously improving the site. New technologies and e-commerce strategies are emerging all the time, and this only scratches the surface of available optimization techniques. Hostway has put together this informational graphic to help further guide these efforts. To find out more, contact Hostway today.